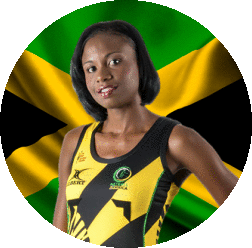 CHAPTERS OF HER LIFE: Jones' new book details her colourful, eventful journey to the top. The one and only Grace Jones has always lived her life on her own terms in big, bold hypervivid colours, so no surprise that her first autobiography, I’ll Never Write My Memoirs, is a candid reflection of all that – and way more. The diva spares no punches, dropping names and dishing up the years that saw her transformation from fresh-on-the-scene model to creative powerhouse to global sensation. According to online sources, Jones loyalists and the curious-minded are in for a royal treat – an unforgettable peek into the world of a woman hailed as disco queen, gay icon, game-changer and gender-bending iconoclast. In short, one of the world’s most recognizable artists. For countless admirers, Jones remains a soul survivor like none other, and the book, racking up nearly 400 pages, allows us to witness some of those whirlwind experiences – in her own words. In these candid reflections, Jones tells us about lovers come and gone, her constant quest for the new and the next, and the free-flowing social circle of fashionistas, artists and musicians that helped fuel her electric energy. Grace, now 67, addresses rumours new and old, her diva reputation (including the many movie roles she turned down), and even stirs some controversy as only she can, name-dropping with wild abandon. 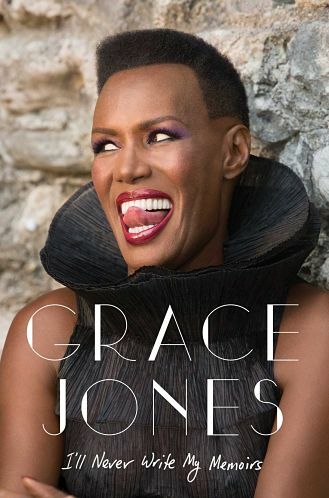 By all appearances, Grace Jones not only has a hit on her hands but a how-to guide for living out loud. PAGE BY PAGE: The novelist's latest pageturner made Amazon's list of the best books of 2014. For the first time in the history of the Man Booker Prize, a Jamaican author could walk away with the prestigious literary award. 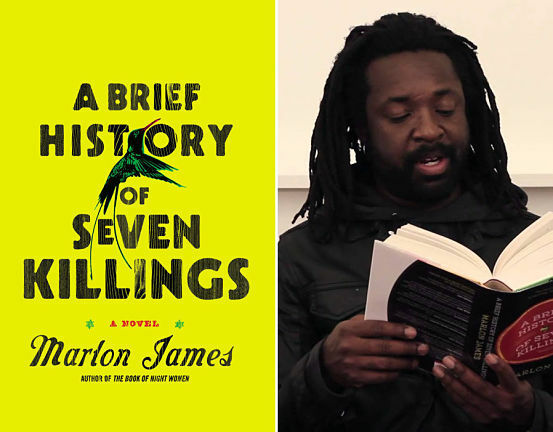 Maintaining its impressive run on the awards-season circuit, Marlon James’ A Brief History of Seven Killings has earned a place on this year’s shortlist comprising six authors and their acclaimed works (down from a longlist of 13). The winner will be announced in London on October 13. According to chief judge Michael Woods, the writers who make up the 2015 list present an “extraordinary range of approaches to fiction,” hailing from different cultures and are themselves at different stages of their writing careers. Joining James on the list are Anne Tyler (A Spool of Blue Thread, USA), Tom McCarthy (Satin Island, UK), Chigozi Obioma (The Fishermen, Nigeria), Hanya Yanagahira (A Little Life, USA) and Sunjeer Sahita (The Year of the Runaways, UK). Arguably the most highly coveted literary award, second to the Nobel Prize for Literature, the Man Booker Prize was traditionally open solely to fiction writers from Britain. But now, for the second year running, it’s open to authors from any nationality as long long as their novel was published by a UK press. TERRIFIC TONY: The author in happier times. Below, with Annie Paul at the Calabash festival in 2010 (left) and Kim Robinson-Walcott at the IOJ in 2014. So said Anthony Winkler in a 2014 interview with TALLAWAH, as he reflected on his legendary writing career and his mortality. 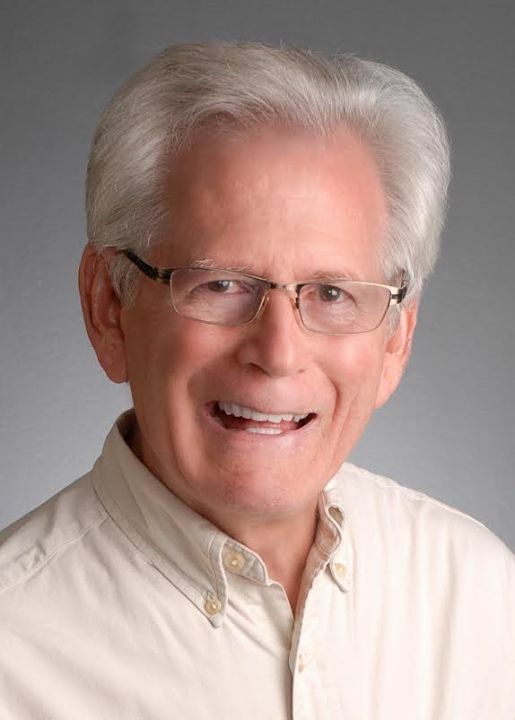 As his life made clear, Winkler was not one who sought after fame or celebrity status. The author, who died at his Atlanta-based home in the United States on Friday, simply opted to give us compelling and memorable stories that rigorously examine Jamaican life in all its guises. He did his best? Winkler excelled. Born in Kingston in 1942, Anthony Winkler emerged as a natural storyteller, going on to cultivate a voice as distinctive as it was original. Blessed with an incredible sense of humour, he specialized in tales full of morally conflicted characters and, more often than not, side-splitting island humour. 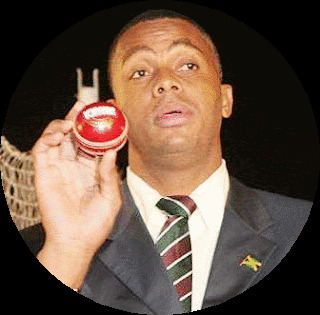 No surprise that the Cornwall College old boy won a large and loyal international following whose appetites he satisfied. In return, they helped make classics out of novels like The Lunatic, The Annihilation of Fish, and his debut offering The Painted Canoe, which, he confessed to TALLAWAH in our last interview, was his personal favourite of all his books. Flash-forward a few decades later and Winkler devotees (and new fans) have added to their collections such notable titles as Crocodile, The Family Mansion and the historical epic God Carlos, which earned him the 2014 Townsend Prize. 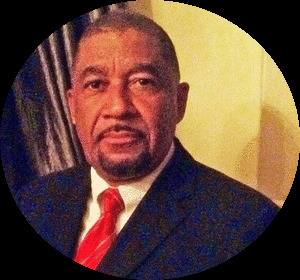 No stranger to winning acclaim and accolades for his work, Winkler was honored by the Institute of Jamaica last year with the Gold Musgrave Medal, ten years after he was presented with a Silver medal for outstanding contribution to the literary arts in Jamaica. Let’s face it: there has never been a more fascinating Jamaican scribe than Anthony Winkler – the subject of controversy and admiration in almost equal measure. He was quite a character himself. To hear him recount the story of his expulsion from Cornwall Collage for “refusing to take caning” is to bear witness to a spirit of defiance. Dr. Kim Robinson-Walcott’s incisive Out of Order: Anthony Winkler and White West Indian Writing offers unshakeable evidence of his penchant for provoking thought and stirring debate. 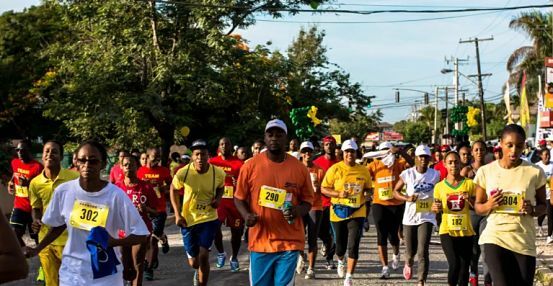 RUN FOR LIFE: A wide cross-section of Jamaicans took part in Sunday's 5K to raise funds for kidney-disease patients. 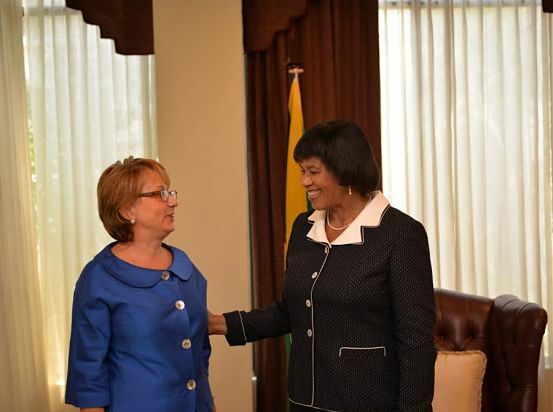 More than 30 years after its inception, the Kidney Support Foundation of Jamaica keeps coming up with cool and resourceful ways to raise funds and bolster the fight locally against kidney disease. In the past, the not-for-profit organization attracted solid support for such events as its annual film premiere hosted by the Carib 5 Cinema in December, a Patient Day on the last Sunday in November, and a 5K Health Walk/Run every September in celebration of Kidney Month. According to the KSFJ’s National Coordinator, Pamela Sutherland, the aim is always to do more. This past Sunday, the KSFJ joined forces with the Pharmaceutical Society of Jamaica to put on a special 5K Walk/Run, which culminated at the Hope Road-based Police Officers’ Club, pulling scores of participants representing various fitness clubs, corporate entities, and the public hospitals’ renal units. 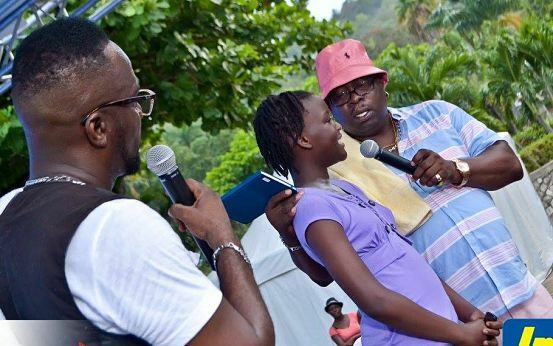 At the event, TALLAWAH spoke with Sutherland and long-standing foundation member Errol Sinclair about what it takes to win the fight against kidney disease. TALLAWAH: At present, approximately how many Jamaicans are battling kidney disease? Pamela Sutherland: In the public sector, there are five hospitals that provide services and treatment for kidney patients. At the moment, the Kingston Public Hospital has about 200 patients, and each of the other four across the island has about 100 patients each. So that’s roughly 600 patients in all, in the public sector, that we know of. There are quite a few private dialysis centres across Jamaica that provide treatment for those who can afford it. TALLAWAH: Fundraising aside, what’s the foundation’s major objective when it comes to helping kidney-disease patients lead normal lives? P.S. : Right now a lot of them are without jobs, and many of the ones who do have jobs cannot work five days per week because of their condition. But they have needs like everybody else. So one of the objectives we’ve been working on is stepping up our appeal to corporate Jamaica to help provide employment for them. 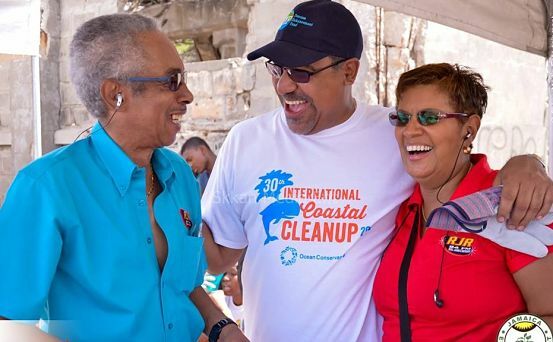 Errol Sinclair: I think [the foundation] has been doing a fine job since we started in the 70s, but we need more volunteers. And that’s part of our mission now – to attract more volunteers and to spread the message. 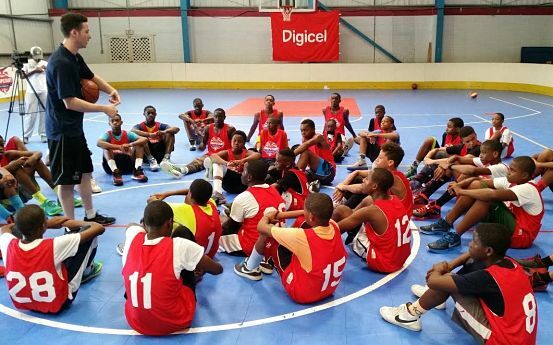 Part of the thrust is to get the education out and to get Jamaicans to understand the lifestyle that promotes kidney well-being. TALLAWAH: So an awareness campaign is crucial. P.S. : Absolutely. When you’re dealing with kidney disease it is important to understand the history of those infected with the disease and to help those affected like family members and members of the community. TALLAWAH: For [Sunday’s] 5K Walk/Run, you partnered with the Pharmaceutical Society and a few sponsors. What’s next? P.S. 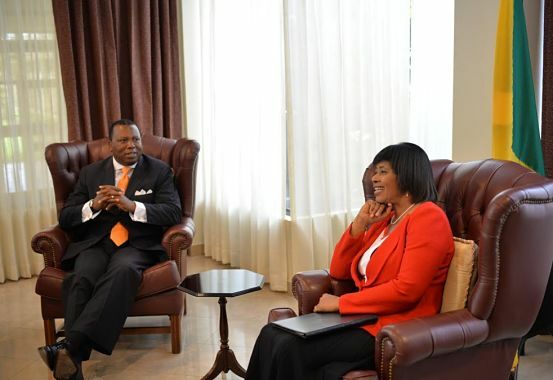 : In addition to putting on more fund-raisers, we want to partner with some corporate Jamaica companies to ensure that patients are employed because many of them are employable. Those able to work should be allowed to get jobs. We also want to acquire more dialysis units so that for those who are straining to cover their medical expenses their lives can be made a bit easier. TALLAWAH: Mr. Sinclair, I’ve heard that for Patient Day, your all-natural retreat spot Tapioca (along the St. Andrew/St. 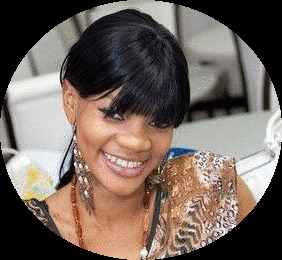 Ann border) has hosted get-togethers for adults and children to enjoy a day of authentic Jamaican cuisine, giveaways, and more. E.S. : Many of them tend to complain that they feel depressed and stressed out, so the fun day is one way for them to lift their spirits. This year feels like a new beginning. We have a national coordinator now to hold the fort together. But raising money is still our main goal because we want to do as much as possible to help the patients live normal lives. > GET INVOLVED: To learn more about the work of the Kidney Support Foundation of Jamaica, visit them at 22 Old Hope Road in St. Andrew, or contact them at 322-2905 or kaf1979@gmail.com. 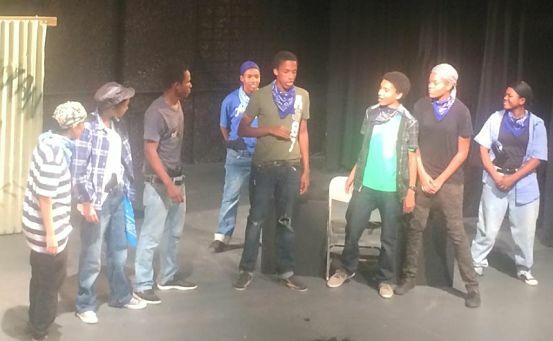 MAKING A SCENE: Student actors from Campion College performing their version of Macbeth. 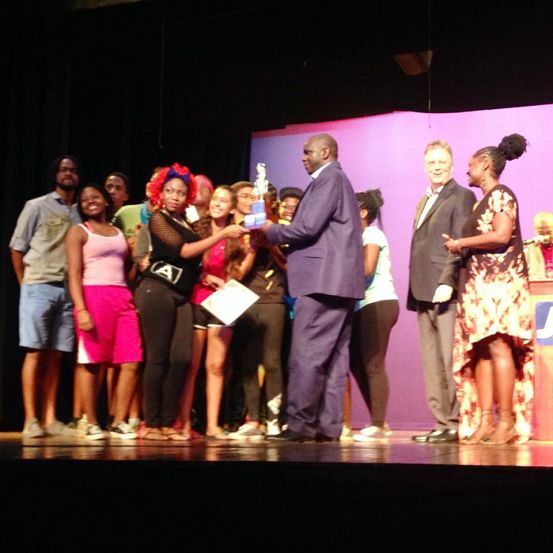 (below), accepting the winner's trophy from Dr. Tony Sewell. Jonkanoo, stand-pipe ghetto living, Bobashanti Rastafarianism. These aren’t ideas one associates with the work of the legendary William Shakespeare, but the supercreative and extremely energetic kids who participated in the national finals of the inaugural Shakespeare Schools’ Championship in Kingston on the weekend didn’t shy away from bringing the outrageous, the curious and the downright hilarious to the stage as they did their best to Jamaicanize some of The Bard’s most popular works. Unsurprisingly, the student actors (who collaborated during the preparation process with their drama and literature teachers and mentors like Leonie Forbes and Dr. Brian Heap) had a blast while putting their shows together and bringing them to life on the main stage. 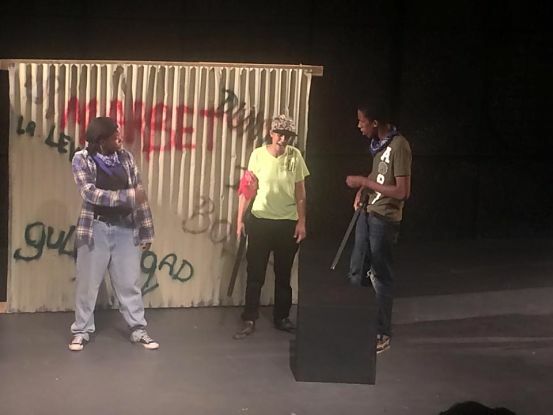 While KC and St. Hugh’s scored high marks and won big laughs for their version of Merchant, Campion College brought the house down with their ghetto-fabulous update of Macbeth – complete with zinc fence, stand-pipe and area dons. 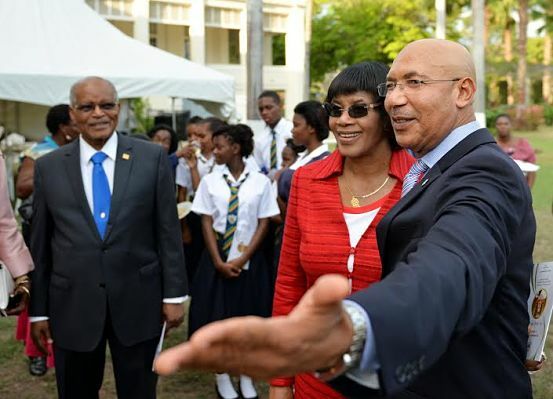 Glenmuir High, meanwhile, gave Othello an urban-meets-thug life remake, the American International School of Kingston spruced up Henry V, Wolmer’s High (Boys & Girls) brought pizzazz to The Taming of the Shrew, Waterford High jazzed up A Midsummer Night’s Dream, while Ardenne High offered their own visceral and innovatively crafted version of Macbeth. WELL TUNED: The renowned choral group consistently brings depth and range to their performances. If there’s one thing to be said for the Jamaican Folk Singers it’s that for a very traditional choral group, they know how to reinvent themselves with a modern twist. That’s among the first things that leaped readily to mind while taking in their 2015 concert season at the Little Theatre in Kingston on the weekend. Brimming with time-honoured and indigenous Jamaican folk gems, ample humour, and some choreography to give the show added dimension, the performance was quintessentially Folk Singers – tunefully pleasurable with just the right amount of entertainment value. Though the group’s courageous attempts at dramatization don’t always hit the mark, you can’t deny their effort to step outside the proverbial box, year after year, and bring something fresh to engage their loyal following. As with any Jamaican Folk Singers recital, you get popular and catchy songs about Jamaica’s lush tropical landscape (“Mango Time,” “Mango Walk”), the healing wonders of natural herbs (“Elena”) and countless work songs that reaffirm the strength and resilience of our forefathers. Among the many qualities that founder Dr. Olive Lewin embedded in the choir’s DNA is a deep and abiding appreciation for spirituality. As such, songs with strong Biblical themes and empowering messages also figured prominently in the performance, while recalling several of the greatest heroes the Old Testament, namely Daniel, Noah and King David. Meanwhile, a stark meditation on revivalism and ritualistic practices highlighted the second half and gave the show added punch and visual power. The tunes flowed in quick succession – many you recognized (“By the Rivers of Babylon”, “It’s A Hard Road to Travel”, “If I Had the Wings of a Dove”), a few you were hearing for the first time. And that’s one of the factors that continues to set the Jamaican Folk Singers apart from other local groups. Though they specialize in traditional folk, the depth and range they bring to their art is consistently refreshing and laudable. 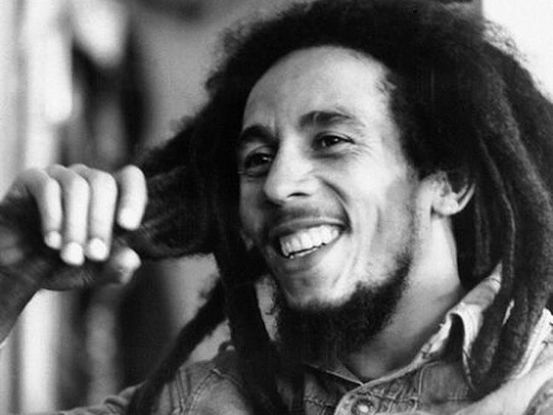 I AM LEGEND: Leave it to Bob Marley to make a surprise appearance when you least expect it. The late reggae superstar is gracing the pages of the September issue of Ebony Magazine, in a world-exclusive, never-before-published interview (“The Lost One”), conducted by noted journalist-filmmaker Nelson George. In candid Q-&-A responses, the Gong reflects on everything from his provocative albums to the sociopolitical landscape in Jamaica to his thoughts on art, life and everything in between. As with most anything concerning Robert ‘Nesta’ Marley, the article is a must-read. The September issue of Ebony is on newsstands now. 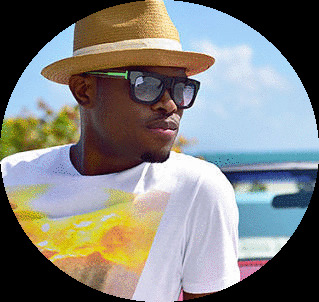 ON A ROLL: Anticipation is sky high for the arrival of Omi’s major-label debut album, Me 4 U, which is being released by Louder Than Life/Ultra/Columbia Records on October 16. What a year he’s been having. Lead-off single “Cheerleader (Remix”) was last week anointed Song of the Summer by Billboard, after the track spent several consecutive weeks in the #1 spot on the Hot 100 Chart. Meanwhile, “Hula Hoop” is the buzzworthy new single that’s already generating heat, with a video clip set to premiere before the end of the year. 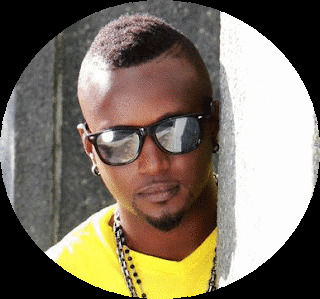 The fast-rising reggae pop star has been on a roll, but it remains to be seen if his recent spate of good luck can translate to record sales. FAMILY AFFAIR: There couldn’t be a more apt title for the Catch A Fire Tour that’s brought together the roots-reggae rockers of Morgan Heritage with Marley family heavyweights Stephen and Junior Gong (alongside third-generation up-and-comers Skip Marley and Jo Mersa) to blaze concert stages across the United States, from August 29 (in Philly) until September 27 (in L.A.). For Gramps Morgan, hitting the road and bringing the heat with the Marleys was something he and his siblings have always dreamed of. 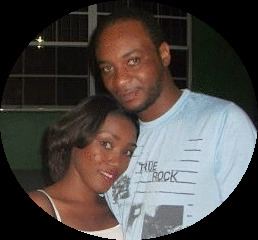 “We always spoke of the day when Marley and Morgan would tour together, sharing the same stage, night in and night out. Well, now the time has come and we couldn’t be more joyful to see this dream become a reality,” Gramps says. “To be on the road bringing this energy to the people is fulfilling on so many levels for us. 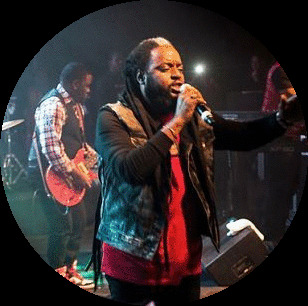 Reggae music needed this love that we share to be presented on a stage such as this, and we are grateful to be part of the journey.” Morgan Heritage’s latest album, Strictly Roots, is their follow-up to the acclaimed Here Come the Kings, released in 2013. AS I AM: True to form, the singer's latest combines melodic appeal and emotional heft. “This is my third album, but it feels like my first.” So says reggae-soul songbird Alaine, in describing Ten of Hearts (Jukeboxx Productions), her latest studio recording that’s a melodic blend of soulfulness and sobering message, passion and pleasure principles and the art of living and loving in the age of Instagram and WhatsApp. These days, the singer, who gave us previous offerings like “Sacrifice” and “You Are Me,” is a more grown-up and glamorous version of her talented self (check out the album cover), but at her core and, as Ten of Hearts attests, Alaine is still that wide-eyed optimist blessed with sensitivity and an easy laugh who holds fast to the age-old transformative power of love. 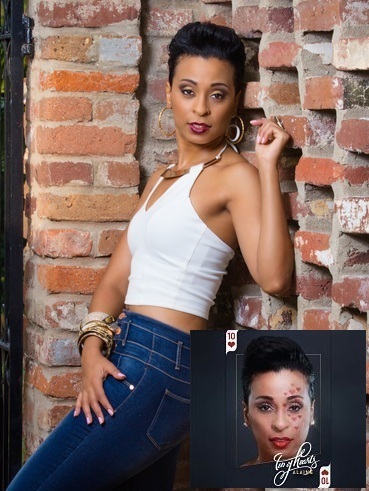 Her fine songwriting ability aside, the disc is a solid showcase for Alaine’s deft and respectful touch when it comes to handling serious subject matter. She tackles the plight of the homeless with compassion and curiosity on the heartfelt jam “Sidewalk Hotel”, shares the touching story of a girl she calls “Suzanna” and reminds us of how life can take unexpected turns on “Make It Home Again”. Testament to her versatility, Ten of Hearts also takes fun and surprising detours, like when she teams up Africa’s Mwalim Churchill on the jaunty “Wafula” and delivers memorable covers of the classic jams “Loving Feeling” (wonderfully reinterpreted by producer Dean Fraser) and Bill Withers’ “Ain’t No Sunshine” produced by Shane Brown. SHALL WE DANCE? Lathan and Ealy get up close and personal in this scene from the movie. If there’s anything trickier than knowing other people it’s knowing yourself. Just ask Leah Vaughn (Sanaa Lathan), a 36-year-old sistah with a high-powered job as a lobbyist who finds herself caught between two vastly dissimilar men on the ultimate emotional rollercoaster, which, in the aftermath, forever changes life as she knows it. That’s the basic premise of The Perfect Guy, a ferocious, moderately paced and very well-acted drama/thriller exploring intimate relationships, obsession and the love triangle with a salacious twist. When Leah’s dating life with the hunky David King (Morris Chestnut) runs its course (she wants to settle down; he doesn’t) she decides to move on. A brief encounter leads to much more with the suave and charismatic Carter Duncan (Michael Ealy), an IT expert who specializes in “making people feel secure.” He woos her with sweet words, fine wine and nights on the town, and before she knows it she is falling head over heels for him, even bringing him to meet the parents (Charles S. Dutton and Tess Harper). But, like they say, some things in life are too good to be true. And so the shocker: behind the well-cultivated veneer of charm, Carter is possessed of a violent streak that manifests at the most inopportune times, driving fear into Leah. It’s not the kind of thing she can handle, but when she tries to break it off with him, he becomes threatening and a heart-pounding game of cat-and-mouse ensues with deadly consequences. When it turns out that the police (Holt McCallany plays Detective Hansen) can do very little to effectively protect her from Carter (who at one point leaves her a note, “If I can’t have you no one will”), Leah is forced to dig deep to muster the courage, and in the process discovers what she is truly made of. A supremely competent performer who can move easily between working on the big screen (Brown Sugar, The Family that Preys) to doing live theatre (A Raisin in the Sun), Lathan proves that when it comes to inhabiting the drama queen onscreen that is where her real gifts are. Her performance is beyond mesmerizing. Among the most accomplished Black actors of their generation, Ealy and Chestnut do their best to keep up, but in the end the movie belongs to Lathan, who transforms Leah into a pillar of strength (this is no damsel in distress!) and a heroine who solidly anchors the film, penned by Tyger Williams and directed by David Rosenthal – and featuring appearances by True Blood’s Rutina Wesley and Kathryn Morris.